Among the list of winners were nine communities from Sunrise Senior Living, including Bertram House of Swampscott, MA, John Bertram House, MA, Sunrise at Parma, OH, Sunrise of Cinco Ranch, TX, Sunrise of Cohasset, MA, Sunrise of Fair Oaks, CA Sunrise of Rockville, MD, Sunrise at Fox Hill, MD, and Sunrise of Sandy, UT. 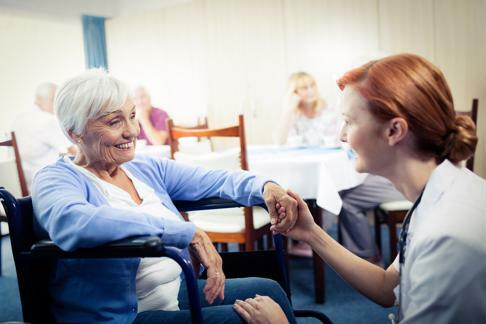 The Excellence in Action award honors nursing, assisted living communities and independent living communities that go above and beyond in ensuring employee and resident satisfaction. These nine Sunrise communities brought in some of the highest scores by residents and employees among all qualified NRC Health organizations, coming in the top 20 percent of survey results in the past year. Each of the 2017 Sunrise Senior Living communities were awarded for high scores in customer satisfaction. To achieve this honor, these Sunrise communities were among the top 10 percent of surveys to receive "Excellent" as a response to the question "What is your recommendation of this facility to others?" and answers of "Definitely yes" in response to "Would you recommend this as a place to live to your friends and family?" The warm, supportive environment at Sunrise has helped many of our locations to win high-ranking customer service awards. Sunrise is devoted to meeting the unique needs of each resident and provides a variety of senior care options including: assisted living, alzheimer's and memory care, independent living, short-term respite care and skilled nursing services. Each of these services are tailored to the specific needs of each resident in a warm and comfortable environment. It can be daunting to decide what kind of care your loved one needs as they get older. Taking the Sunrise Care Questionnaire can help you determine which services could best benefit an older loved one in your life. Ready to speak with someone? Call 888-434-4648 to speak with a senior living counselor today.